"A bright and colorful parkour game." In Run Far you find yourself with no money to ride the subway home so what would be the most obvious course of action? To parkour (free run) your way home. 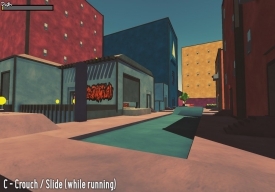 You can run, slide, all run around the sandbox town which is oddly deserted of other people except for a robot (the one that denies you access to the subway), and in theory it's a pretty cool concept. We must point out that this is a prototype version and still early in its development so you can expect it to have a few bugs. 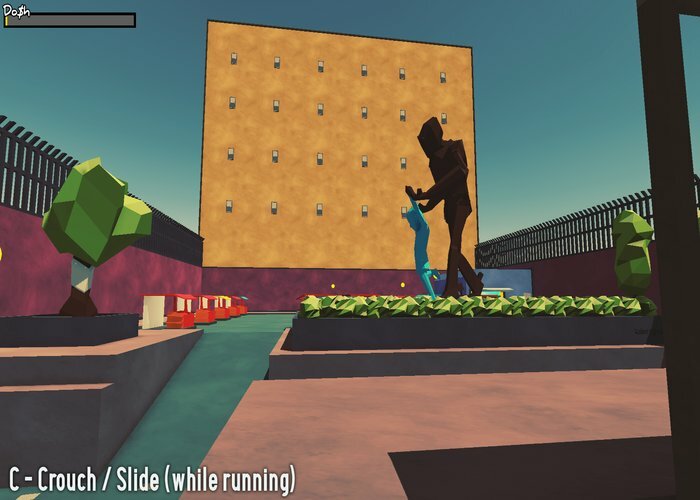 There has been quite a few of these parkour type games released recently but we are yet to find one that is really engaging sadly Run Far is no different to that and whilst it is worth checking out to see the brightly colored town the action side of the game feels very bland. A good idea in theory but let's hope the game play is focused on in future builds. You can download Run Far here for free.